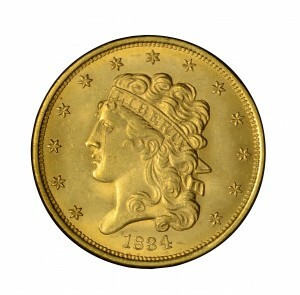 Any discussion of die states considers the specific condition of both the obverse and reverse dies when a given coin was struck. In nearly all cases, the actual dies no longer exist. 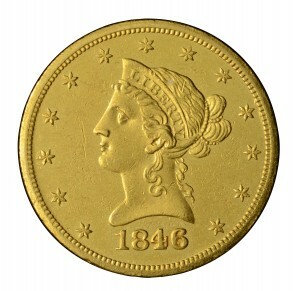 Thus surviving coins provide the only evidence available today. During use, the dies developed certain defects – or “characteristics” – including die cracks, die breaks, clash marks, die rust, and lapping or polishing lines. 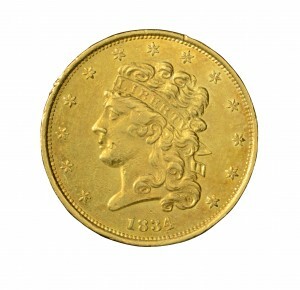 Occasionally, some of these defects occurred during the die manufacturing process (sometimes from internal metal stress), even before the first coins were struck. 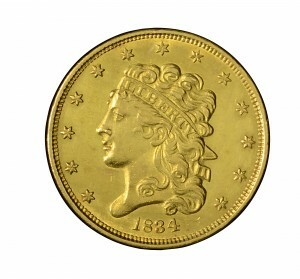 To the knowledgeable numismatist, such characteristics often enhance the value of a coin. Die cracks appear on the struck coin as fine raised lines of metal and advance during die use, becoming longer and heavier. Die breaks appear as larger raised masses of metal, usually along the border, but occasionally internally. Die breaks also advance through the life of a die. 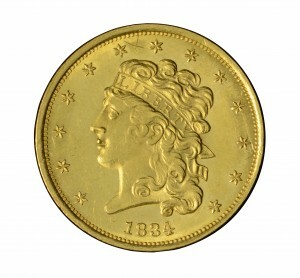 Clash marks would occur when a pair of obverse and reverse dies came together without an intervening planchet and struck each other instead. Either one or both dies would receive the design impression from the opposite die, raised and resembling a feature of a struck coin. These clash marks then imparted to all following coins an incuse (recessed) and reversed impression from the opposite die. From time to time, dies were removed from service and replaced with other dies, or were stored for future use. When such dies were stored, they were coated with a protective layer of grease to prevent or at least delay rust. Sometimes these dies were not properly coated and developed traces of rust. This surface corrosion created tiny pits in the surface of the die, which were then transferred to the surface of coins later struck from these dies. This die rust appears on coins as tiny raised dots of metal. Die lapping was a method of repairing dies to diminish or eliminate certain defects, and was primarily performed to remove clash marks. Lapping would also diminish minor die rust and could lessen or remove hairline die cracks. The process of die lapping would also remove minor portions of the design, leaving blank areas where detail once existed. All of these various events in the life of a coinage die provide a window of opportunity to determine the exact order that obverse and reverse dies were actually used. With the exception of dies that were lapped, the various cracks, rust evidences, etc., would tend to become more prominent during use. 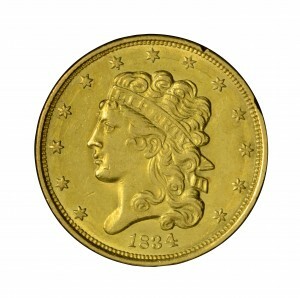 Therefore, we are able to examine the coins today and determine the order in which they were struck. If two coins exist from the same pair of dies, one without any die cracks and the other with extensive die cracks, we can be certain that the coin with die cracks was struck at a later time. With this information, it is possible to track a large number of coins from different combinations of obverse and reverse dies and determine the order of use of these die combinations. Such an ordering is called an emission sequence. Harry Bass was keenly interested in studying varieties and die states of the coins he collected. 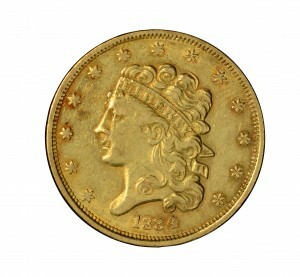 Nowhere was this more evident in early gold coins from 1795 to 1834. However, a similar interest developed among later issues. 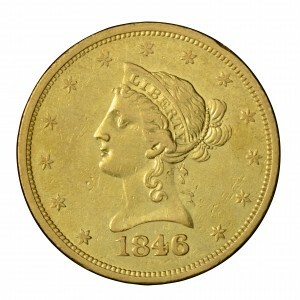 The following six 1834 half eagles of the Classic Head design and three 1846-O eagles provide two interconnected sequences of obverse and reverse dies. These are included in the Core Collection of Bass coins to illustrate the die state concept including emission sequence. 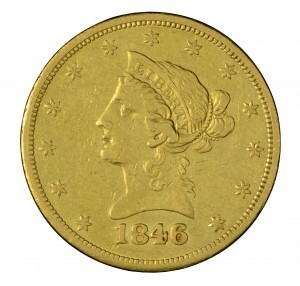 Following standard practice, obverse dies are assigned a number, such as 1 or 2, and the reverse dies are assigned a letter, such as a capital A, B, or C. The small letters a, b, c, etc., indicate die states, with “a” being the earliest.